Thursday, November 15, 2018 9:00-11:15 a.m.
Paul E. “Grumpy” Lager, age 86, of Aviston, died Tuesday, November 13, 2018 at his home. He was born November 2, 1932 in Aviston, a son of the late Ferdinand “Ferd” and Veronica “Rone”, nee Mondt, Lager. 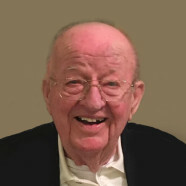 In addition to his parents, he was preceded in death by a son-in-law, Bob Herbst; daughter-in-law, Wanda Lager; brother, Gervase “Gerp” Lager; sister, Eileen Hegger and husband Charles; brother-in-law, Leroy Zimmermann; and father-in-law and mother-in-law, Joseph and Loretta, nee Horstmann, Heimann. Surviving are his wife Ruth, nee Heimann, Lager of Aviston whom he married June 25, 1955 at St. Damian Catholic Church in Damiansville; children, Lynn (Bob) Rinella of Aviston, Larry (Connie) Lager of Aviston, Elaine Herbst of Mt. Pleasant, SC; Jackie (Gerard “Charlie”) Chiarolanza, and Gerard “Gerry” (Kay) Lager of Aviston; grandchildren, Tony (Jamie) Rinella, Paul (Bailey) Rinella, Lee (Laura) Rinella, Robby (Krystal) Herbst, Cathryn Herbst, Clare (friend Cory Arentsen) Chiarolanza, Grace Chiarolanza, Hannah Lager, Madeline Lager, and Sophia Lager; great-grandchildren, Harper and Samantha Rinella, James and Luke Rinella, and Eleanor and Benjamin Rinella; siblings, Virginia Lee Zimmermann of Trenton and Floyd Lager of Glendale, CA; sisters-in-law and brothers-in-law, Sylvia (Art) Henken of Carlyle, Joanne (James “Stix”) Lampe of Germantown, Esther (Pat) Norrenberns of Carlyle, Anita (Marvin) Rakers of Damiansville, James (Kathie) Heimann of Germantown, and Joseph “Star” (Netsie) Heimann of Germantown; and numerous nieces and nephews. Grumpy was a veteran of the United States Army and retired as the lead lineman from Clinton County Electric Co-op in Breese. 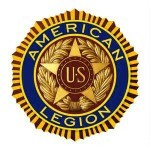 He was a member of St. Francis of Assisi Catholic Church in Aviston and the Mondt-Lampe American Legion Post 1239 in Aviston. Funeral Mass of Christian Burial will be Thursday, November 15, 2018 at 11:30 a.m. at St. Francis of Assisi Catholic Church in Aviston with Fr. Daniel Friedman presiding. Interment will follow in St. Francis Cemetery, Aviston. Visitation will be Thursday, November 15, 2018 from 9:00-11:15 a.m. at St. Francis of Assisi Catholic Church in Aviston. In lieu of flowers, plants, and other gifts, memorials may be made to Mater Dei Catholic High School or to the PSR Program at St. Francis of Assisi Catholic Church and will be received at the church or through Moss Funeral Home in Breese who is serving the Lager family.